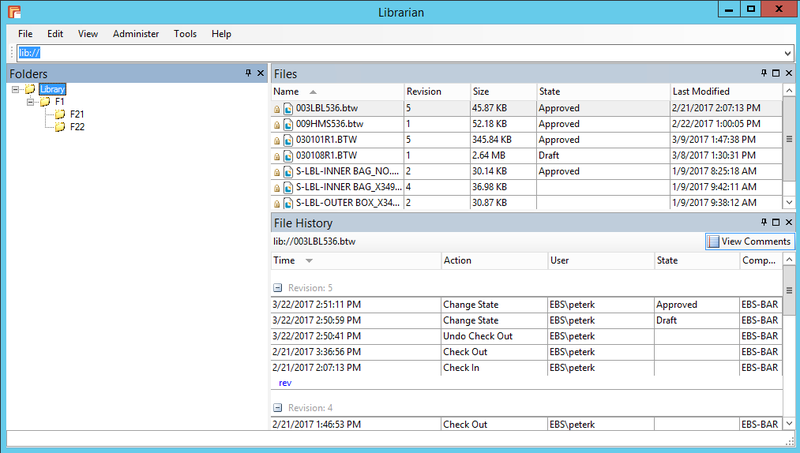 This article describes the problem of looking at a complete list of label design documents or files in the Librarian UI and how to use SQL Management studio to export a complete list. The Librarian UI does not seem to provide an easy way to view a complete list of label design documents / files with revisions. Nor does there seem to be any export function. 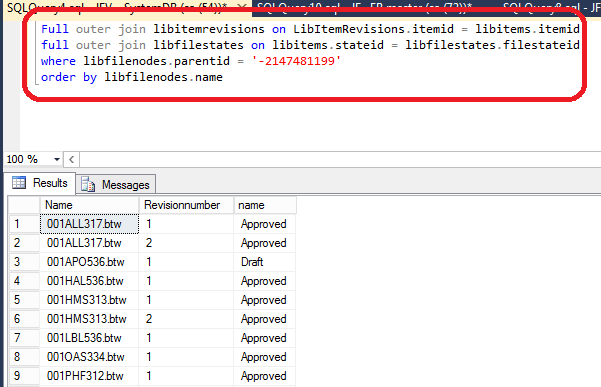 Run the following query – substituting -2147481199 with the NodeID from previous step. The result is a 3-column listing with Filename, Revision Number and Status. 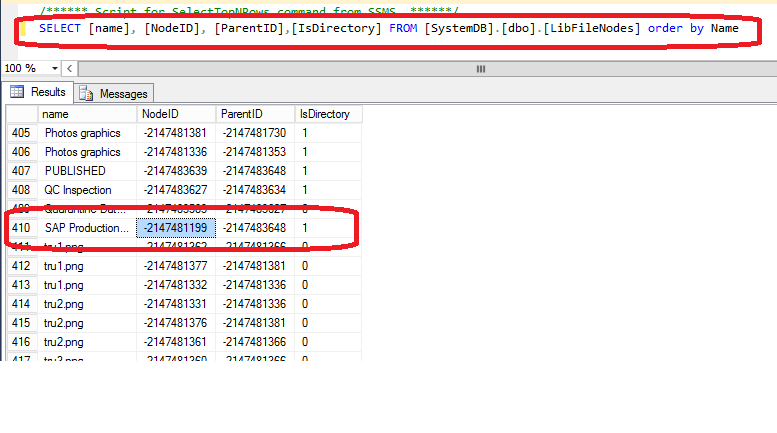 Depending on how the values are setup in document status (libfilestates table), the values may be different from the sample above. The result contains all version of the documents. If the documents has 3 versions, all 3 will be listed.